is comprised of a group of experienced, professional, passionate and dedicated Instructors. They are a mix of multi-national Instructors with different specialty areas but with a common and undeniable love for diving and teaching. With over 10,000 dives and thousands of certifications between them, Our Team will exceed your expectations and there will be no looking back! We offer training in English, Spanish, French, Italian, Dutch and German! Your training will take place at our renowned 5* IDC Dive Center in the heart of Playa Del Carmen. We have two on site air conditioned classrooms, a large equipment rinse area, storage areas for personal gear as well as hot showers and private safes for all divers. Our training pool close by and our three spacious dive boats await us on the beach only a moments walk away. We are a PADI 5 star IDC Center and Training Facilty with a great variety of courses, programs and training. We are located in the heart of Playa del Carmen. Our shop is 1615 square feet and inside we have many facilities for you to feel confortable. We have a retail shop with all the thngs you could need; equipment for rental in all sizes and very well and often maintained. We use worldwide brands famous for their great achivement! You will find the latest and best thing here! We have a dry area for you to keep your clothes and things and also a safety box for each one. 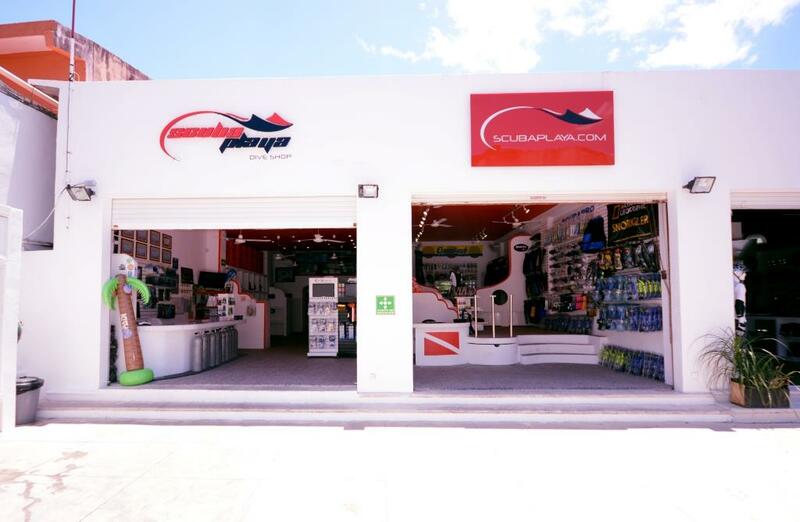 In year 2005 Scuba Playa begun as a very small shop with one instructor. Now we grew up thank to all the people like you that trust our so personlized atention and service, our level of safety and professionalism and our own method. Thanks to all this Scuba Playa is now a liding dive shop.